See by Chloé's sandals are lightweight and comfortable, making them both a practical and stylish choice for days spent roaming around new cities or local markets. 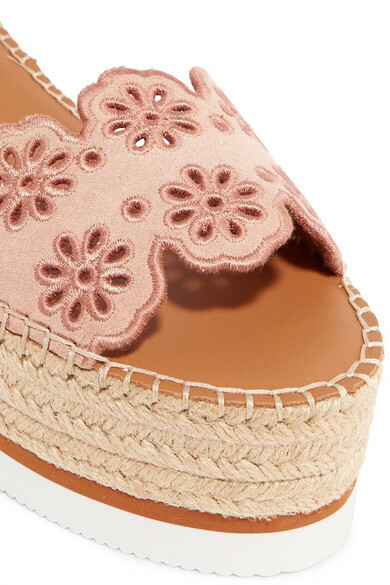 Set on a gripped 70mm espadrille wedge heel, this pair is made from leather and suede detailed with floral embroidery along the laser-cut details and signature scalloped trims. Shown here with: MATIN Dress, Loeffler Randall Tote, Chloé Sunglasses chain, Dinosaur Designs Earrings, Chloé Necklace.